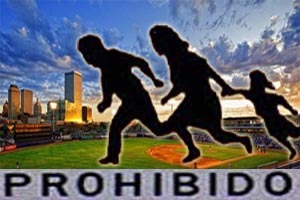 A federal judge has granted a request by a coalition of 26 states including Oklahoma to block President Barack Obama’s executive action on immigration while a lawsuit to permanently stop the order goes through the courts. U.S. District Judge Andrew Hanen granted a preliminary injunction Monday, after hearing arguments at a hearing in Brownsville, Texas, in January. The decision is available online here. The federal government is expected to appeal Hanen’s ruling to the 5th U.S. Circuit Court of Appeals in New Orleans. 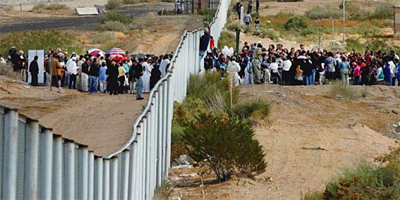 Covering an estimated five to eleven million people who are in the U.S. illegally, the ruling isn’t expected to have any immediate effect as the first of Obama’s orders is not set to come into action until Feb. 18. 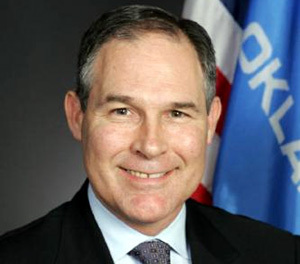 Oklahoma Attorney General Scott Pruitt applauded the federal judge’s ruling which halts the president’s executive actions on immigration nationwide – including in Oklahoma. “Today’s ruling is a step in the right direction in undoing the president’s unlawful executive actions on immigration. We appreciate the court and U.S. District Judge Andrew Hanen for granting this emergency request by the states,” Attorney General Pruitt said. This entry was posted in National on February 17, 2015 by admin.